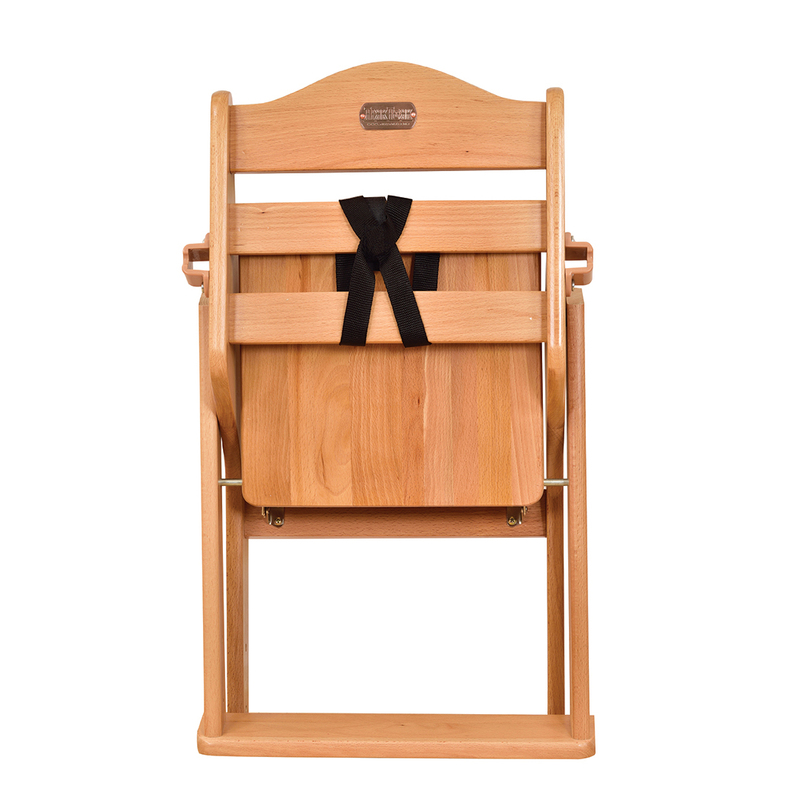 Manufactured from solid European beechwood and designed to be used specifically, but not only, for feeding time. 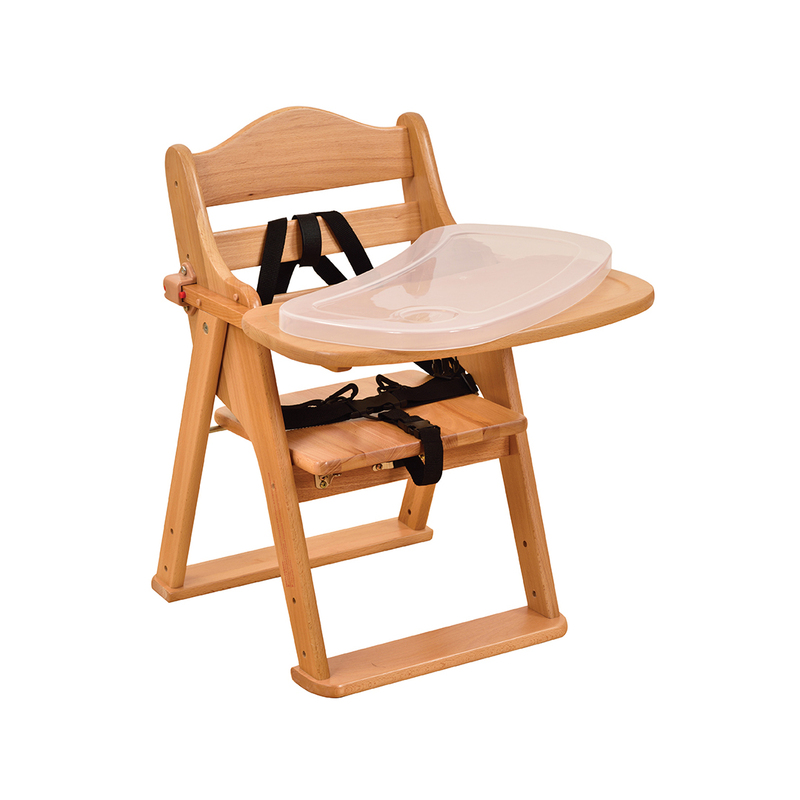 Features include ultra-stable wide legs, 5-point safety harness, rounded edge design, foldable for easy stowing and button release tray (remove tray before folding). Meets the required safety standards.